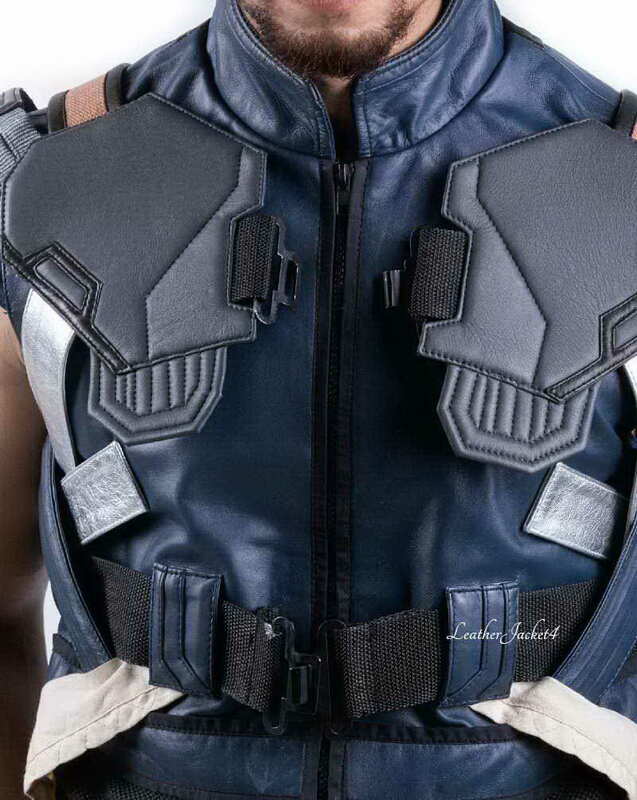 This armor-like leather vest is one of the popular movie costumes that are designed for Supervillains so far, but this time here is the stylish guy – Michael B. Jordan playing as the character of fictional Supervillain in the Hollywood comic movie “Black Panther” as Erik Killmonger. 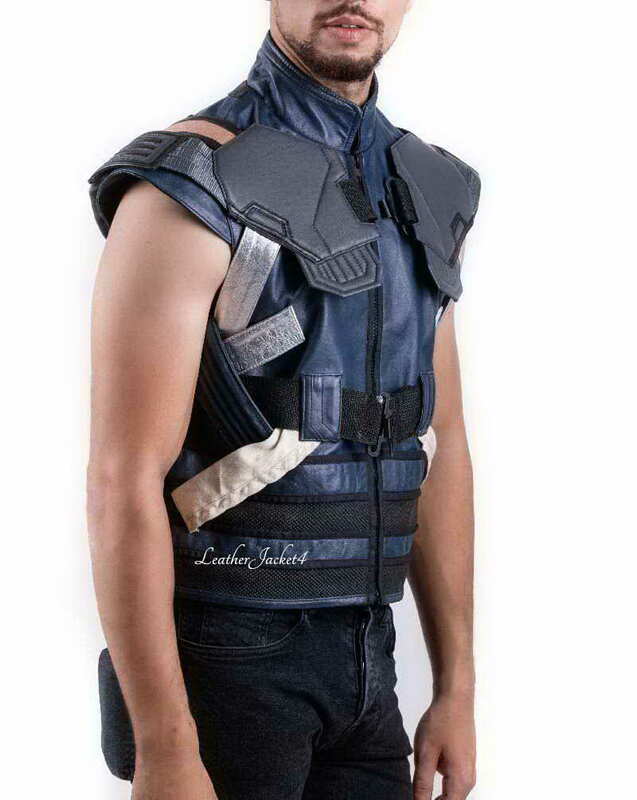 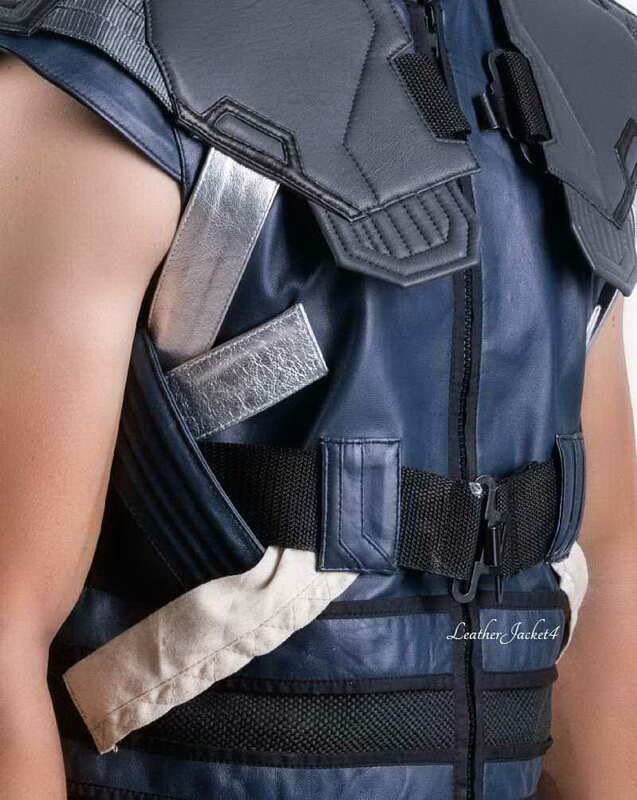 Wearing a rigid blue armor style leather vest which looks pretty appropriate for such a character who is always ready to gear up facing the combatant endeavors. 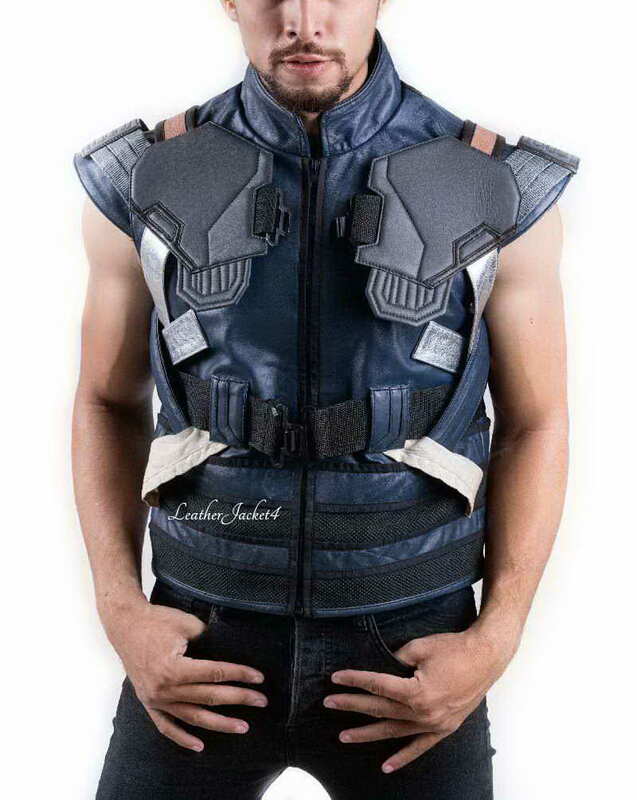 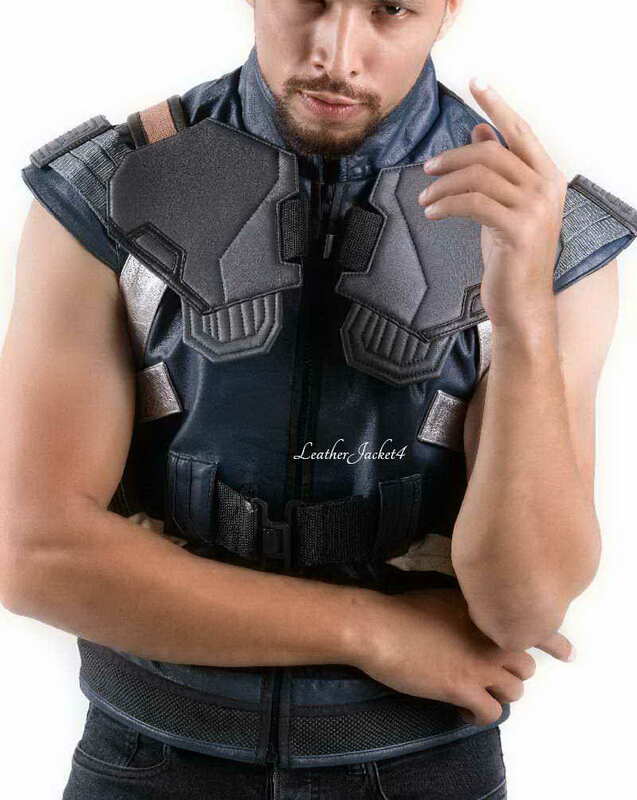 This Killmonger blue leather vest is crafted by premium quality of leather and is given a little eccentric yet blatant attributes that make it must-own-costume, such as creative layers of padding over the chest and buckle strap-mesh detailing are featured along waistline for a perfect fitting. 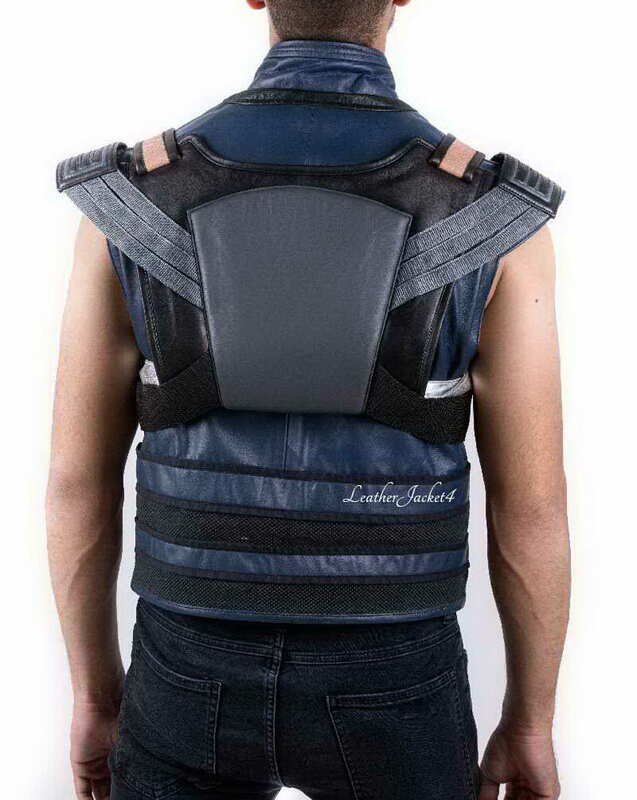 Apart from its apparently virile outlook, it is even softer from inside due to viscous linings. 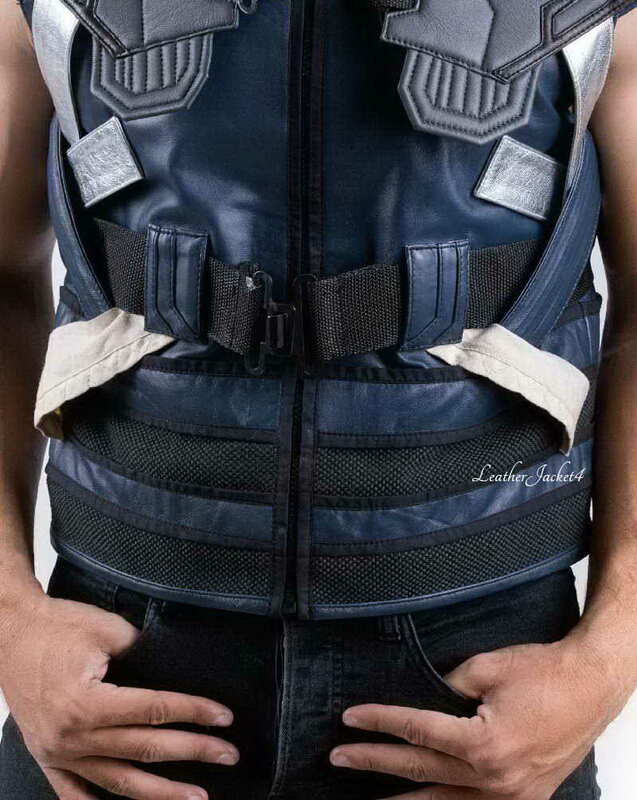 A YKK zipper slides straight up to the stand collars makes gives you the draped feeling.